Properties: This stone represents prosperity. 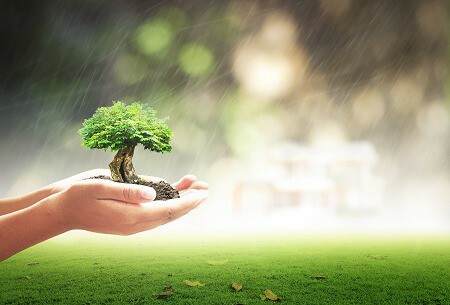 This “hope” stone is important to have when starting a new business or financial venture. Amazonite’s energy is gentle, friendly, calming, and a soothing stone, used for self-expression, artistic creativity and healing. This is a great stone for communication, confidence and leadership. 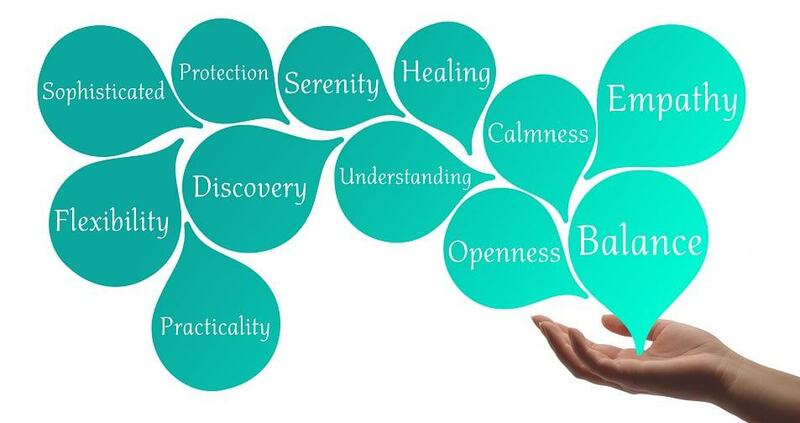 It reduces self-damaging behavior, increases self-respect, grace. A gentle friendly, calming, soothing stone, which opens Throat Chakra, Heart Chakra, and Solar Plexus Chakra. Reduces self-damaging behavior, increases self-respect, grace, self-assuredness with communication…therefore, it is a stone for trust. 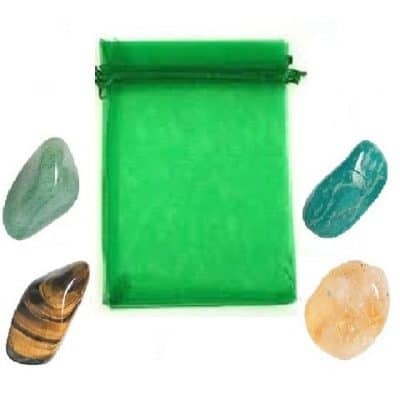 This green stone is instrumental in distilling the raw information used for personal expression. 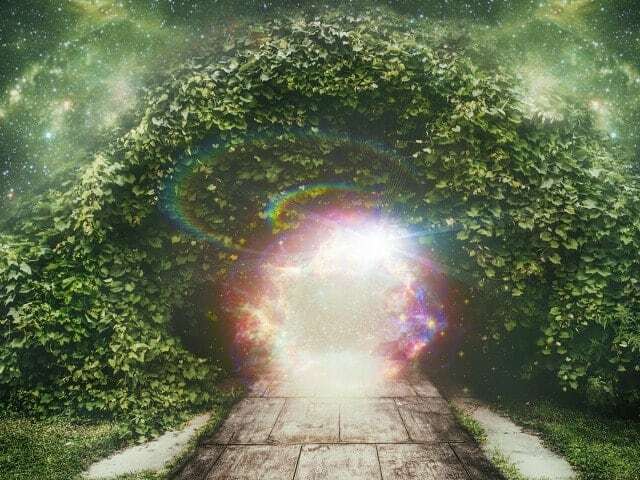 Helps filter information and combines it with natural intuition. Enhances masculine qualities. Good for anyone involved in the arts. Utilize Amazonite in order to encourage the pursuit of your unique path in life. 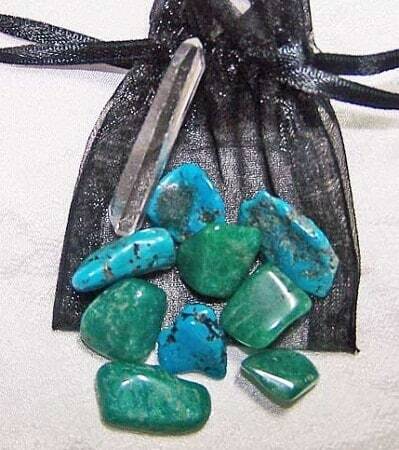 Amazonite is used to disperse negative energy. 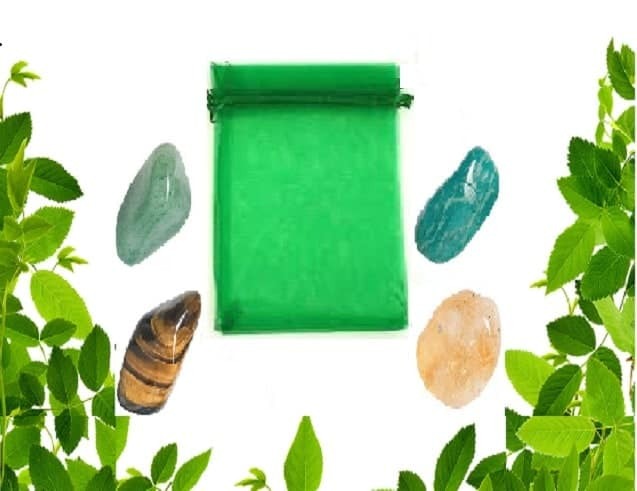 Folk Remedies: Amazonite is believed to effect the throat, thyroid, thymus, nerve and Brain paths by gently soothing the brain and nervous system. 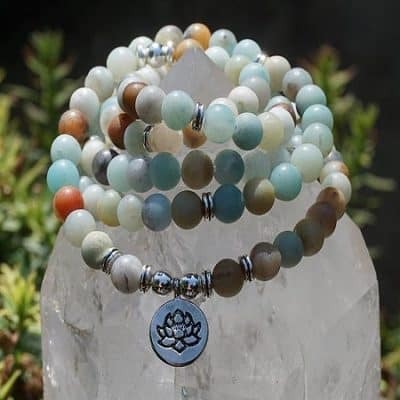 Feng Shui: Amazonite is used in the Northeast area for self cultivation, in the Southwest area for partners and relationships and for dispersing negative energy in any room. History: Amazonite (KAlSi308) is a form of pale green Microcline, a potash feldspar found in Brazil, U.S.S.R., and U.S. Like all other feldspars, Amazonite’s energy works very well when combined with like stones such as topaz and aqua aura. The true discovery of this stone is a mystery based on which authority you talk to. Named for its place of discovery in the Amazon basin, this stone was believed to be jade for centuries. Others believe It was not found anywhere in the Amazon basin, however, Spanish explorers who named it apparently confused it with another green mineral from that region. The parallel shadings caused by the presence of lead, give amazonite its intense color. The best crystals are found near Pike’s Peak. It was used in jewelry in the India, Mesopotamia and the Sudan. 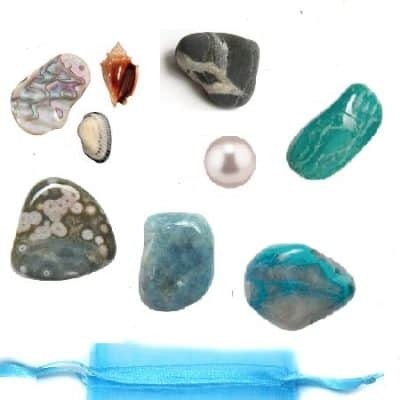 In Egypt, amazonite was made into tablets in parts of the Book of the Dead and found in the tomb of King Tut. Amazonite brings energies of prosperity and the power of self-expression, communication and creativity. Good for anyone involved in the arts. 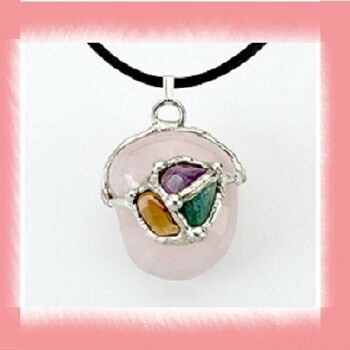 Helps filter information and combines it with natural intuition. Utilize Amazonite in order to encourage the pursuit of your unique path in life. 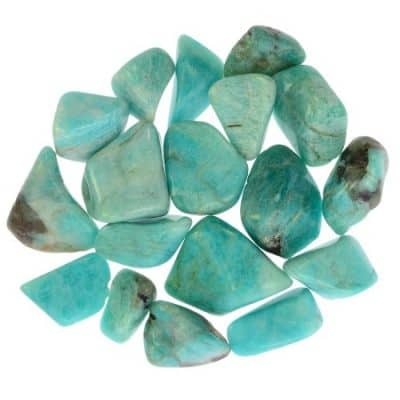 Amazonite is used to disperse negative energy. 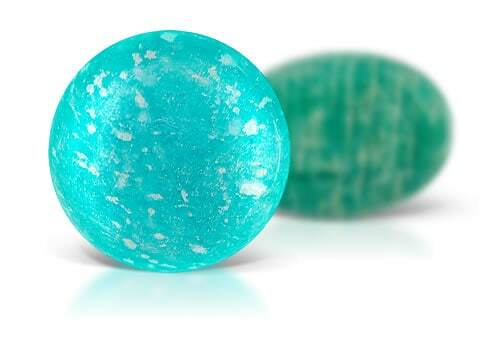 Considered the stone of courage and truth, amazonite offers honesty, balance, and integrity. Oils: Basil, Bergamot, Fennel, mint and Patchouli. 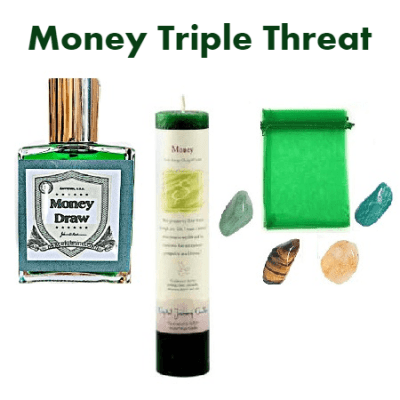 Combine amazonite, tiger’s eye, citrine, aventurine and/or jade along with money plant leaves, eucalyptus leaves or basil leaves. I create safe space for me to work. Charge your stones in the circle made from the leaves for 24 hours. 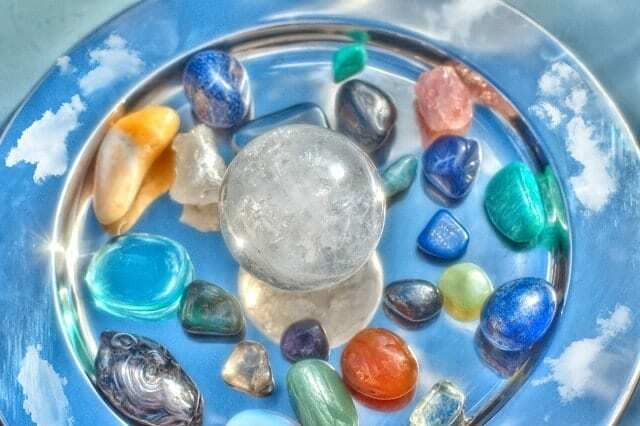 Then remove the stones, put them in your pouch & carry it with you or keep it in your sacred space or altar for one full cycle of the moon.